This sort of commentary weaves its way into news headlines, blog posts and water cooler conversations and is often unchallenged. A lot of it is just gossip really. Whilst gossip can be interesting, can help us form relationships, and prop up magazine sales it is not necessarily what policy decisions should be based upon. A lot of people pirate, and a small proportion of Australians pirate a lot, but certainly not everyone. Our latest study1 suggests it’s 25% and it’s skewed towards young men. What people are doing when they say ‘everyone does it’ is describing a perceived social norm. What everyone else does can be a powerful influence on our own behaviour – we are social animals after all. The problem can be that our inferred behaviour of others is not always accurate. A screaming headline, or very visible example can mean we over-emphasise the likelihood that a particular behaviour is pervasive. If you’re an 18-year-old man in Australia it might be fair to say ‘most of my friends are pirating’ – but that’s not necessarily the same behaviour exhibited by all 18 year-olds or by other Australians. Since streaming services launched in Australia last year our data has recorded a small but significant decline in those claiming to pirate – a drop of about 4% compared with the previous year. Consumer advocacy group Choice stated in 2015 “It is clear that the drop in piracy is the result of increased availability of legal streaming services in Australia”2. Sorry, but it’s not as simple as that. So it is now cheaper, and more easily available, but Australians are still pirating. Back in 2012 the majority of pirates told us they pirated because it was ‘free’. It’s pretty hard to compete with free. Research3 by Dan Ariely showed that when we have the choice between two things and one is free we are prone to react as if free not only means no cost but actually increases the intrinsic value of the item. When we posed the hypothetical scenario to pirates in which they had the option to access legal content, simultaneously with its release in the US, at a low cost or pirate for free most of them say4 they would still opt for free and illegal. There are some people who say that they do this. Back in 2011, 13% of Australians claimed5 they had (though we don’t know with what degree of frequency). When it comes to piracy it does seem as if a degree of moral cleansing is occurring. When we do something that we think is morally or ethically dubious then it is common for us to then behave in such a way as to restore our integrity. The reverse is also true. If we behave in a way we deem to be ‘good’, then we feel liberated to do something ‘bad’. This is moral licensing. It’s like balancing a moral bank account and we have heard this sort of justification many times from those who are regular pirates. I buy movie tickets so I feel ok about pirating or when I’ve watched a pirated movie it’s ok as I then go to see it at the cinema. It’s a way of feeling better about ourselves. Since the majority of Australians agree that piracy is ‘stealing/theft’ then you can see why a dose of moral account balancing might be at work here. Since no pirate websites have yet been disabled by the Australian courts, we do not have the data to call this one way or another. However what we do know is that blocking has been effective overseas. A study by Incopro6 studied the 250 most popular piracy sites in the United Kingdom that made available infringing film and television content. The study found a significant decline in traffic to all blocked piracy sites. Those sites blocked by the court on average lose approximately 77% of their Alexa7 ranking estimated usage in the two months following a site block. Another study of the effect of blocking on consumer behaviour (Danaher & Smith 20158) based on UK evidence showed that blocking one site had little impact but “blocking 19 different major piracy sites caused users of those sites to increase their usage of paid legal streaming sites such as Netflix by 12% on average”. Pirates frequently argue they would abandon infringing sites if legal content was more readily available. Even though more affordable content is more readily available, their behaviour has not shifted significantly. However, the reverse has proven to be true. What we do know is that if you want to make a particular behaviour attractive to people you make it easy (and ideally fun). To make piracy less attractive you make it more difficult. When accessing pirated content is hard to do, many people give up. 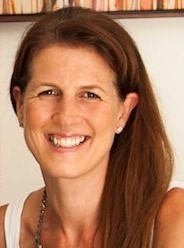 Anna Meadows is the founder of Sycamore Research, an independent research and strategy company based in Singapore. Anna has worked with some of the world’s largest brands, consulted to a diverse range of companies in several countries and has implemented large and ongoing research projects for clients including HSBC, Nestle & Nokia. She has amassed a significant body of knowledge about online piracy through nearly a decade of research in Australia, New Zealand, Taiwan and Singapore.